Thomas Touray is the International Advisory Committee Member for Western Africa, a Human Rights Lawyer and Executive Director of The West African Institute for Legal Aid (WAILA). He lives and works in the Republic of The Gambia. 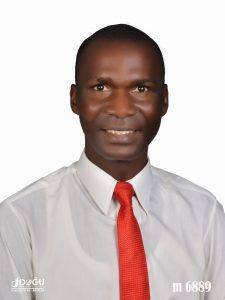 He is an independent and self-motivated Human Rights practitioner with excellent research and writing skills. Thomas possesses ten years experience working with CSOs. WAILA is a member organisation which contributes to the development of a fair and equitable justice system which addresses the legal needs of the community, and to improve access to justice by the community by providing free Legal Aid services to eligible individuals or groups, in both criminal and civil cases, mainly poor and vulnerable people in The Gambia, Nigeria, Ghana, Sierra Leone, Liberia, Benin, Burkina Faso, Cape Verde, Côte d’Ivoire, Guinea, Guinea-Bissau, Mali, Niger, Senegal, and Togo. Find out more.